Executive Order 9835 created the 'Federal Employees Loyalty Program' which vested power in the State Loyalty Review Boards (working with the FBI) to question and investigate all members of the State Department about their political ideologies and any involvment of empathy with Communist or Sovietactivites or beliefs. This would eventually extend beyond the State Department towards schools and universities, teachers being required to swear loyalty oaths and reading lists going under scrutiny. One of the main triggers of the Red Scsare, the Attorney General's List of Subversive Organisations named all groups that were considered "subversive" to the United States government (among those being all alleged Communist fronts, the Ku Klux Klan and the American Nazi Party). The List was highly publicised as the government's and used by many establishments (namely, local and state governments) as guidelines for their employment procedures as measures to guard against Communist infiltration. 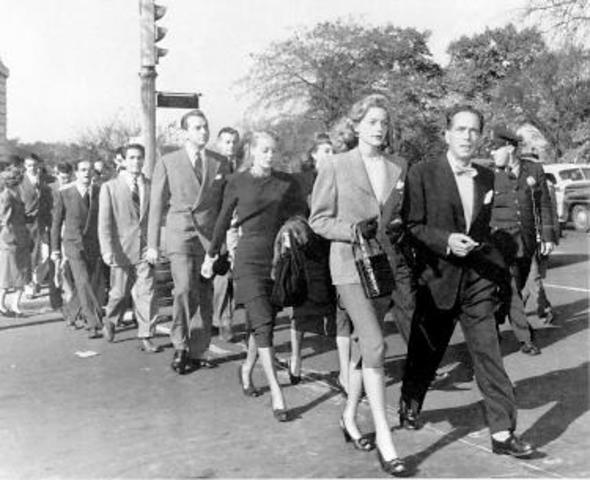 The Hollywood Ten: McCarthyism Communist HuntsTen members of the entertainment industry refuse to answer HUAC questions, citing their right guaranteed in the First Amendment of the American Constitution (the right to free speech and assembly, freedom of the press and the right to petition). 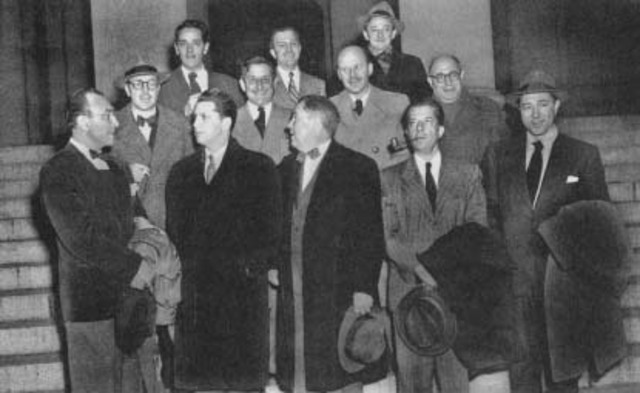 They became known as the Hollywood Ten and under the WAldorf Statemnt, issued on November 25th 1947 by film industrry executives, they would be fired and not re-employed, making them the first blacklisted individuals in the "Second Red Scare" era. In retaliation to the harsh treatment of the Hollywood Ten for enacting their civil liberties and the ensuing treatment of the entertainment industry, the Committee for the First Amendment is formed among actors and screenwriters in their support. Among the members were well known actors Katherine Hepburn, Lauren Bacall, Humphrey Bogart, Judy Garland, Frank Sinatra and Groucho Marx. 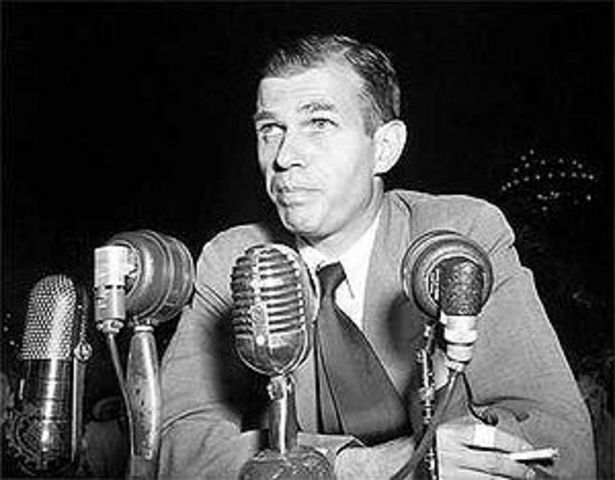 Following a two year investigation, Alger Hiss had been part of the Roosevelt administration in the 1930s and a high-level State Deparmtnet official. But the trials and the testimony of Whittaker Chambers found Hiss was also a member of an underground communist network at the same time. This boosted the national anti-Communist hysteria that an individual with political power in American government had also been a courier for the Soviets; this chaos allowing for the emergence of Joseph McCarthy. Senator Joseph McCarthy's first involvement in the era that would soon bear his name began when he produced a list of 205 members of the Communist Party that were also under State Department employment. 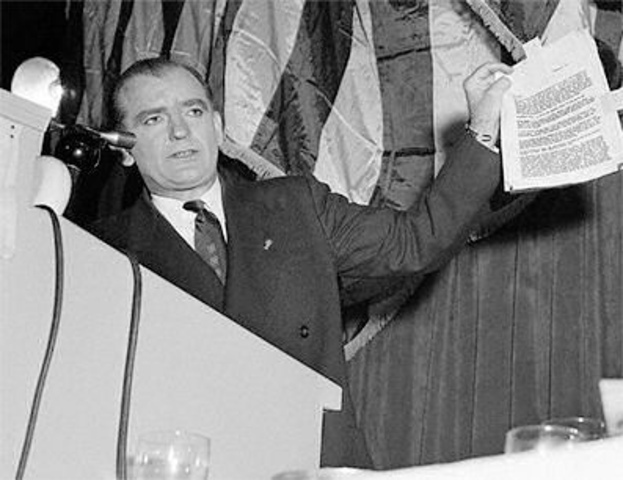 This speech gave him a huge flood of publicity and established his involvement and leadership in the "witch hunts" for communists infiltrating AMerican society. 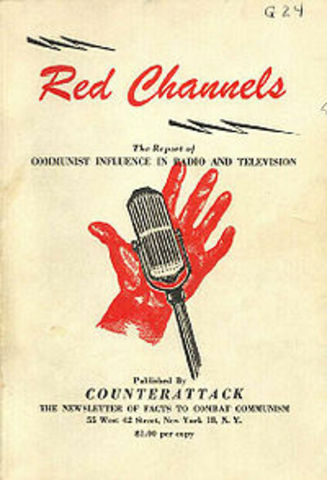 The release of a pamphlet of "Red Channels" to the public, named 151 people in the entertainment industry classified as communist or red-fascist sympathisers and listed all "communist influence in radio and television". This became known as the Hollywood Blacklist and all on it were put out of work and not to be re-employed. The Internal Security Act was the first piece of legislation passed that could really defy the US Constitution and ban the right to assembly and the freedom of belief. It required all organisations and anyone trained in espionage to register with the Jutice Department, legalised the deportation of communists and allowed for the detention of suspected spies and "subversives" . 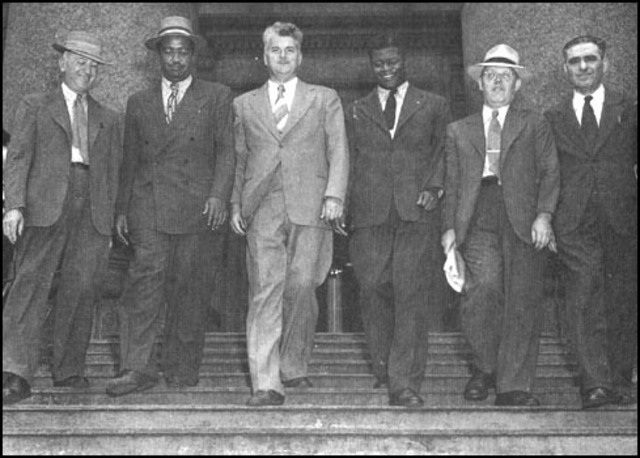 The Act was upheld in 1951 by the Supreme Court when it was challenged in the Dennis (Communist leader) vs. US case. 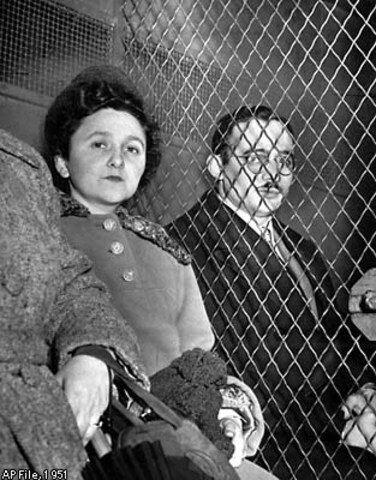 Julius and Ethel Rosenberg become the first civilians in the US convicted and sentenced to death for espionage. 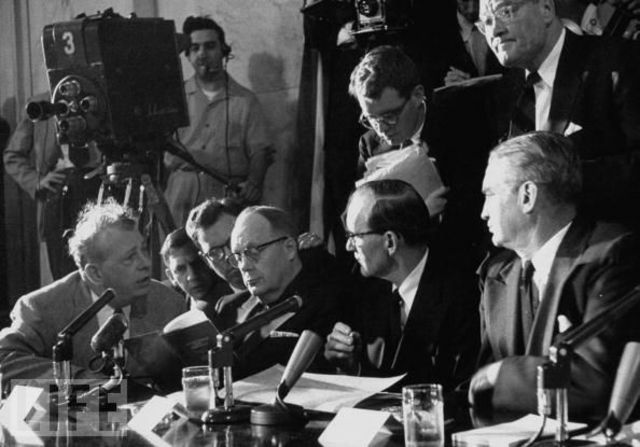 It was claimed they passed on information about American nuclear weaponry to the Soviets. It was the height of the Second Red Scare in America and symbolised the rash action and little hard evidence the justice system needed to prosecute in times of national hysteria. McCarthy challenges the poloitical loyalty of the US Army. 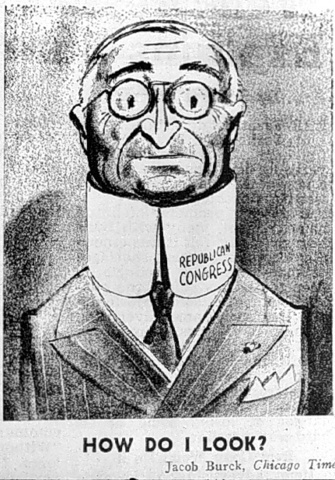 With little hard evidence to support his claims and poor appearance and conduct in the televised trials (to over 20 million), he lost public support and negative public opinion rose from 29% to 45%, his support dropping from 50% to 34%, The trials marked the beginning of his downfall and with it, the period of national hysteria declined, but suspicion of communists was only eliminated at a national level at the end of the Cold War.